from 40 pcs. 0,32 EUR ea. from 80 pcs. 0,30 EUR ea. from 160 pcs. 0,27 EUR ea. 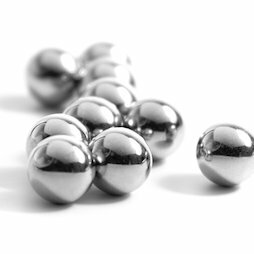 These are NOT magnets, but nickel-plated steel spheres. To combine with magnets, e.g. rod magnets.